The U.k’s population has seen the largest increase since the baby boom. ONS figures show a 538,000 increase on year before to 65.6 million people, with London experiencing highest growth rate. Net migration has been cited as the main reason for the increase. The UK population has risen at its sharpest rate in nearly 70 years, official figures show, with London accounting for a significant chunk of the increase. 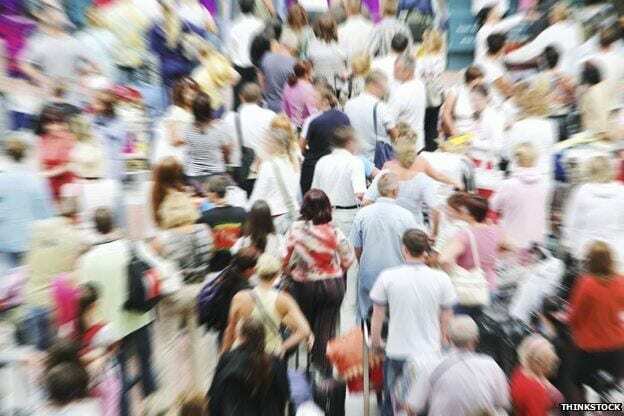 The latest calculations show an estimated 65,648,000 people living in the country at the end of June last year, up 538,000 on the year before, which is the largest increase since the 12 months to mid-1947. The population of England grew fastest, exceeding 55 million for the first time. Population growth at the regional level varied from 1.3% in London to 0.5% in the north-east. Of the 14 authorities showing population increases of 2% or above, eight were in London and five in inner London. Net international migration to the UK for the period was 336,000, over one-third of which (126,079) was in London. Statisticians also reported that the UK population continues to age, but at a slower rate than in recent years. There was only a small change to the proportion aged 65 and over, and an unchanged median age of 40. Population Matters, which researches the environmental impact of population size, said the growth is having an impact on quality of life. We are all affected adversely by the rapid population growth of recent decades examples include pressure on housing and public services to the environment and climate change. The figures also found that the number and proportion of older people in the UK continued to rise. The median age of the population – the age at which half the population is younger and half the population is older – in mid-2014 was 40 years, the highest ever estimated.